Just really impressed how organized the staging to this Street MMA fight was. That level of organization took some planing and preparation. Hats off to the Street MMA promoter on this random street corner, in this random city. I mean the defense and head movement is great and all but respect to the crowd for being an active audience but not trying to overshadow the talent with their catcalls. Watching again, is this great striking defense? Or just piss poor striking offense? We’re walking a thin line here and we could be swayed in either direction depending on the day’s weather forecast. The strikes thrown per a minute (that’s a stat right? Sure why not) are going off the charts from both men. 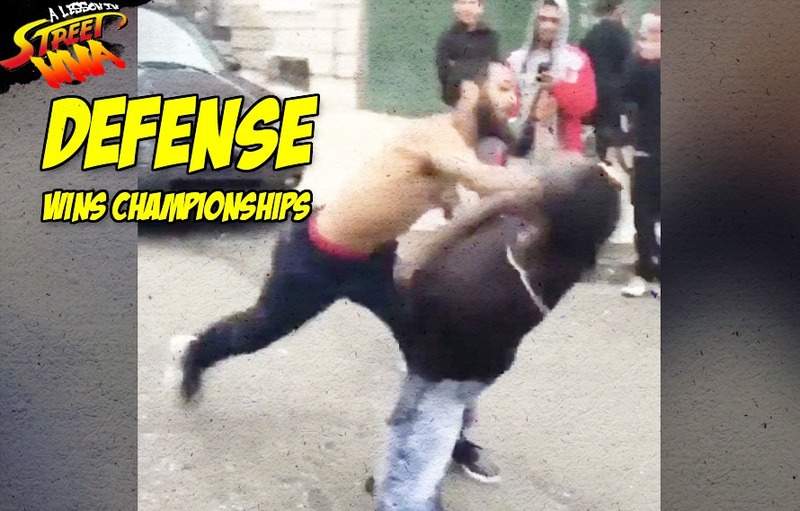 Dude with no shirt is the aggressor but don’t sleep on our guy with the all black tee. Garbage offense? Or high level Street fighting head movement? Still not sure but this fight has some replay value. The origins of this beef? Unknown but it feels kind of personal. Also the fight ending shot looks clean as hell. You could eat off of that last punch and not catch any infectious mouth diseases. That’s a punch you pull out on Sundays or show off on a first date. The walkoff punch was more crisp than powerful and still got the job done. It’s a wrap. Everybody doesn’t have to go home but they can’t stay here. Mark Hunt would approve of this walkoff swagger even if it came after possibly 50 or missed strikes thrown at the head.